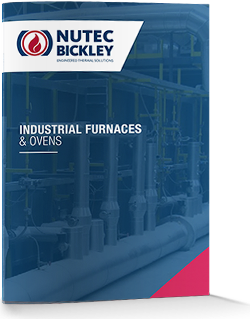 Nutec Bickley provides indexing – continuous heating furnaces for ends and centers of automotive suspension parts (leaf springs, axles, etc.) prior to forging and forming. The handling system of these units can be with chain strands, chain with cross slats, pusher systems and walking beams. This furnace technology uses the combustion products to preheat the parts at the entrance, obtaining very high thermal efficiency. Heavy duty and stable steel frame and refractory construction. Infrared sensor control for continuous heaters.